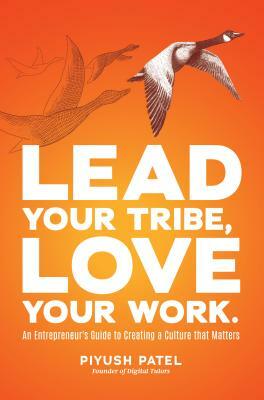 In Lead Your Tribe, Love Your Work, Piyush Patel offers an insider's perspective on how to unify your team around a common purpose by uncovering your core values and transforming your culture. As a business owner or leader, Lead Your Tribe, Love Your Work will challenge you to take control of your culture and create a thriving company that's built for longevity. School teacher-turned-animator Piyush Patel founded Digital-Tutors, the foremost digital animation training company for the film and gaming industries with clients such as LucasArts, Pixar, Electronic Arts, Blizzard, and Disney. After turning $54 into a multi-million-dollar exit, he now works with company leaders to create cultures that matter. His family divides their time between Oklahoma City and their winery in Napa Valley.